Singapore recently issued its export data for December 2018, which recorded its worst decline in more than two years. It appears that the country's foreign trade has been negatively affected by the China-US trade war. Almost at the same time as Singapore's announcement, Indonesia and the Philippines also released their export figures. Indonesia's exports dropped 4.62 percent year-on-year to $14.18 billion in December, a second month of contraction; while in the Philippines, exports unexpectedly fell 0.3 percent year-on-year to $5.57 billion in November, the first decline since May 2018, with its exports of electronic products decreasing for the first time in two years. A similar situation was also seen in Malaysia. From this point of view, against the backdrop of the China-US trade war, Southeast Asian countries have clearly sensed their vulnerability and sensitivity to the global environment in foreign trade, thus making it inevitable that their economies will suffer more pain in the short term. That being said, there are still a divergence of public opinion toward the China-US trade disputes in Southeast Asian countries like Singapore, the Philippines, Indonesia and Malaysia. 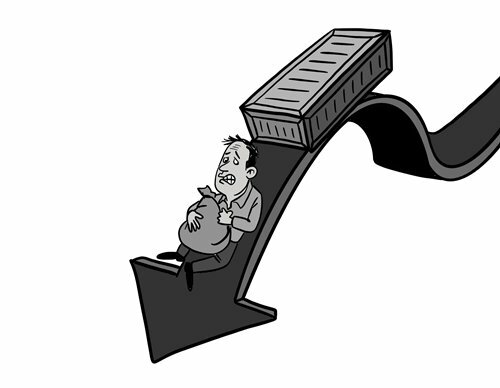 Some observers expressed dissatisfaction with the US initiating the trade war with China and even voiced their open opposition to it. They believe that a trade war is not the correct way to handle problems regarding the China-US trade issues. Others have been concerned but have taken a more cautious attitude toward the China-US trade rows. At present, similar worries and cautious attitudes mainly come from the financial and international trade executives. Take Malaysia's mainstream opinion as an example. Malaysian economists have warned that the China-US trade war may spark a currency war as the depreciation of the yuan may drive down other developing economies' currencies including the Malaysian ringgit against the US dollar. In addition, there are also people taking a subjective yet positive view toward the trade war. That is mainly because Southeast Asian countries may receive an "unexpected dividend" from the trade dispute between China and the US. In this regard, areas such as the industrial development, electronics products, computers and e-commerce sectors are expected to benefit the most. Moreover, in order to avoid high tariffs amid the China-US trade frictions, some companies have taken direct measures such as relocating their factories to other countries, which can also bring certain benefits to Vietnam, Malaysia and other Southeast Asian countries. Generally speaking, most Southeast Asian nations were expecting to see a trade boost from the tensions, but unexpectedly that does not appear to have been the case. And since the "unexpected dividend" has not yet been experienced, the sharp fall in the growth rate of foreign trade has done nothing but verify these countries' concerns over the trade war. From the perspective of globalization and international multilateral free trade, Southeast Asian countries will by no means play the role as a third-party beneficiary of the global trade environment. As is known to all, the Trump administration advocates "America First" policy, focusing on measures meant to protect US domestic industries and narrow the bilateral trade deficit with other countries. Undoubtedly, this has, and will inevitably continue to, lead to a major shift in US trade policy, which has changed from promoting free trade in a multilateral economic system, to the support of conservative unilateral trade protectionism. Under this scenario, Southeast Asian countries who have always been reliant on foreign free trade and regional integration, have naturally seen a broad and deep collision with the US in their new trade policy. Southeast Asia can hardly play the role as a third-party beneficiary, and China will not be the only country that will face conflict with the US trade policy.